On Saturday 25th of August 2018 the skimboarders of the PNW are taking over Spanish Bank. 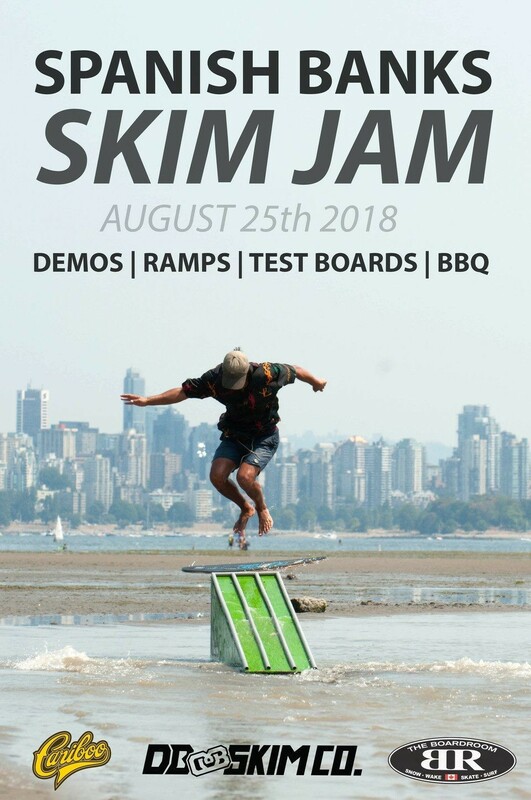 Together with Cariboo Brewing and The Boardroom, we will be hosting a casual skim jam open for everyone to join. There will be ramps, test boards, a barbecue, free beverages, music, team riders Adrien Raza & Blake Zimmerman and many more! The session starts at 10AM near the the central parking at Spanish banks.